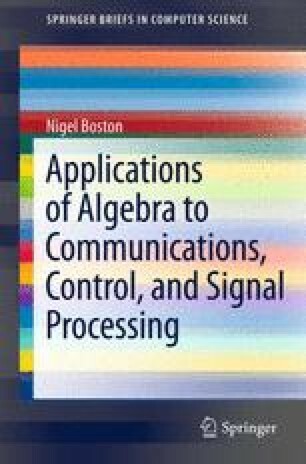 The early applications of algebra to electrical engineering and computer science come via coding theory and cryptography. These are techniques used to ensure accuracy and security of transmitted information respectively. There are many books that cover these topics thoroughly. Our brief discussion is intended to provide background for the later chapters.